When will be Barging Round Britain with John Sergeant next episode air date? Is Barging Round Britain with John Sergeant renewed or cancelled? Where to countdown Barging Round Britain with John Sergeant air dates? Is Barging Round Britain with John Sergeant worth watching? Britain's canal network is a true national treasure. Forged in the fire of world-changing historic events, yet set within gorgeous scenery, it's bursting with undiscovered history and home to a vibrant community rooted in a unique way of life. In this second six-part series, John Sergeant sets off once again on a rich and colourful voyage along six of the best canal journeys Britain has to offer, exploring their extraordinary stories as he goes.From the tranquil rural landscape along the Oxford Canal to the bustling centre of Manchester along the Rochdale Canal, from one of the oldest and prettiest canals in Britain, the Staffordshire and Worcestershire Canal, to the Capital's very own Regent's Canal, every step of the way John immerses himself in living history, bringing the past to life by rolling up his sleeves, getting stuck in, and having a go at canal practices past and present. In episode three, John takes in the delights of the Lancaster Canal, making his way from Tewitfield, down the west coast through Lancaster, on to Glasson Port and finally to Preston. John travels down the Staffordshire and Worcestershire Canal, one of the oldest and prettiest canals in Britain, setting off from Wolverhampton in the West Midlands down to the River Severn. In episode five,John is barging his way along the Oxford Canal, which meanders through the heart of the gentle English countryside until it reaches the River Thames in Oxford. In the final episode of the series, John is barging along the The Regent's Canal which runs through the heart of the capital linking the docks with the rest of Britain. Along the history filled route John finds the East End's haunted Ragged School, helps make and sample a bottle or two of 'mother's ruin' and even finds time stops off to feed the Giraffes at London Zoo. 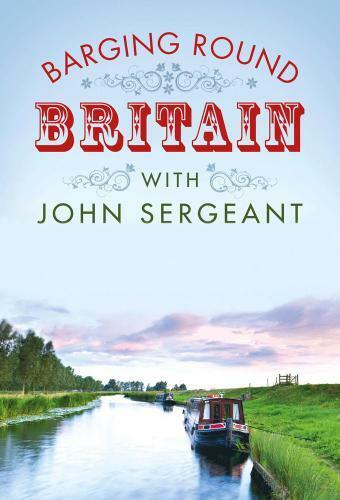 Barging Round Britain with John Sergeant next episode air date provides TVMaze for you. EpisoDate.com is your TV show guide to Countdown Barging Round Britain with John Sergeant Episode Air Dates and to stay in touch with Barging Round Britain with John Sergeant next episode Air Date and your others favorite TV Shows. Add the shows you like to a "Watchlist" and let the site take it from there.